We will be seeing Ray Stevens live, exploring the Johnny Cash Museum, and enjoying a ride on the General Jackson Luncheon Cruise on May 31st and June 1st in Nashville, TN. Come join the Young At Heart family for a night of fun and laughter as Ray Stevens performs live on May 31st with his A-Team Band at the CabaRay in Nashville, TN. The audience will be served a delicious meal and enjoy a 90-minute full concert, jam-packed with Ray’s iconic hits and comedy classics. Ray will take listeners down memory lane with tales and stories from his legendary career. In true Ray Stevens style, he doesn’t hold anything back. You will laugh out loud all night long! The following day, we will explore the Johnny Cash Museum and eat lunch aboard the General Jackson Luncheon Cruise before returning home. This is definitely a trip you do not want to miss! Tickets for this trip will be limited so sign up as early to make sure you get a seat. 8:30 AM - Depart from Listerhill Credit Union Main Office in Muscle Shoals, AL. 3:30 PM - Check in at the Drury Inn in Franklin, TN. 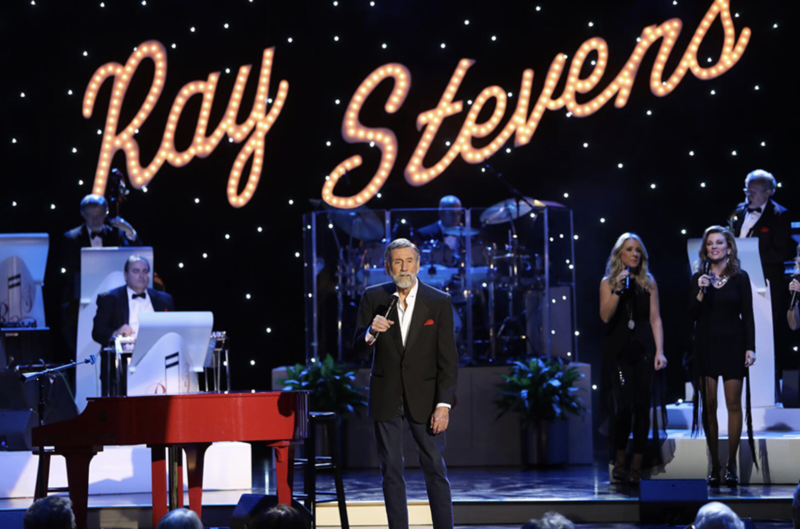 5:10 PM - Depart for the Ray Stevens Dinner Theater. 9:00 PM - Return to hotel after laughing all night! 7:30 AM - Enjoy breakfast at the Drury Inn in Franklin, TN. 9:00 AM - Depart from the Drury Inn in Franklin for the Johnny Cash Museum. 9:30 AM - Explore the Johnny Cash Museum. 11:00 AM - Depart for the General Jackson Luncheon Cruise. 2:45 PM - Depart for Opry Mills or home. Additional Pricing Details: Deposits for this trip are $100 per person and are due upon reservation. The latest reservations can be made is April 29, 2019. No refunds will be issued after April 29, 2019. Pricing includes hotel, transportation, CabaRay show/dinner, General Jackson Cruise, gratuities at both shows/dinners, Johnny Cash Museum admission, and the bus driver’s tip.